Chennai: DMK supremo and president M Karunanidhi expired today after prolonged illness in hospital. The condition of DMK President M Karunanidhi, who was admitted to the hospital for the last 11 days, was ‘extremely critical’ and his vital organs were deteriorating. 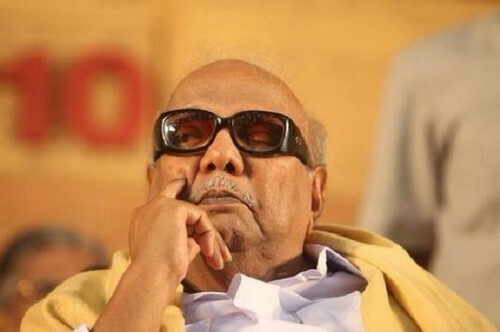 Earlier,A bulletin issued by the Kauvery hospital on Tuesday said, there has been a significant decline in the clinical condition of the 94-year-old DMK Chief over the last few hours.“Despite maximum medical support, his vital organ functions continued to deteriorate’’, it said. “His condition is extreme critical and unstable’’, it said. Meanwhile, all the family members of Mr Karunanidhi were present at the hospital, even as hundreds of DMK cadres, including weeping women, assembled in front of the hospital.